Thank you Bloomsbury India for sending a review copy of this book. • I wanted that ending. I am happy with it. It COULD have been more, but eh, I’ll take it. • YA thrillers are rare. Like, really rare. Hats off to the author for taking up that genre. • I LOVE how they show the outside point of view in the form of police reports, yearbook records, etc. That was smart, and it made the book MUCH better in terms of writing quality. • It had very little overall impact. It’s supposed to a “chilling psychological thriller” (according to the back cover of my copy). The book did not, however, give me enough chills. • I am probably unfairly comparing all thrillers to my favorite ones, but this one just didn’t surprise me enough, you know? I am satisfied with the ending, but I had also predicted it. It’s a good book, I liked a lot, but it just didn’t live up to the “thriller” status.I didn’t like any of the characters, but I don’t think I was supposed to. But I’ll still urge you to read it, because seriously, how many YA thrillers do you come across? Hey can you please give me the email address for contacting Bloomsbury india for review copies? I think I DM’d them on Instagram as far as I remember.. Because I coudnt find any email ID for Indian office in the Bloomsbury site..
Great review! I loved reading your thoughts. 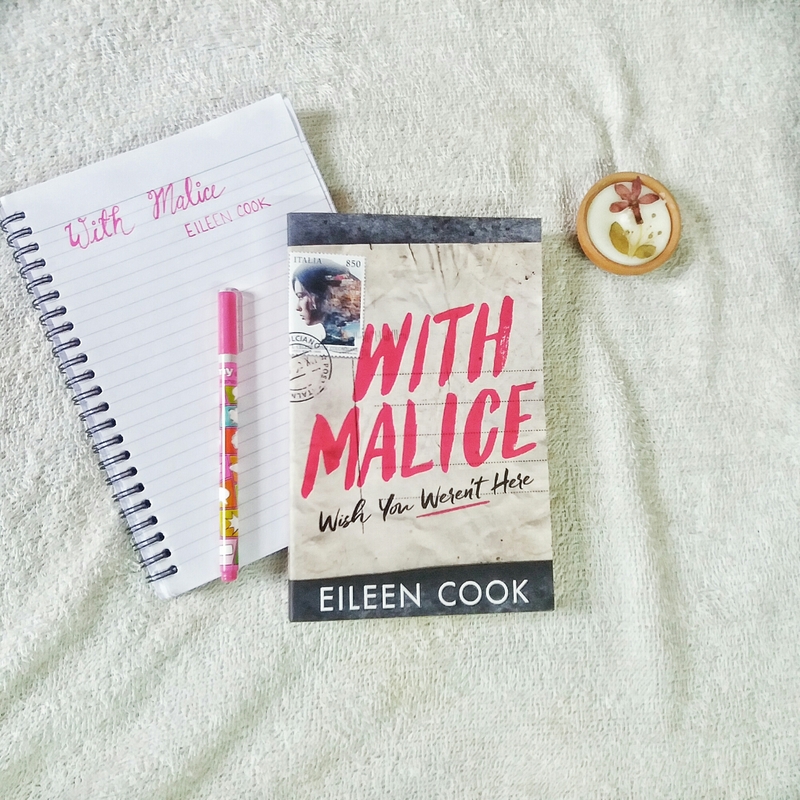 I haven’t heard much about With Malice but I’ve seen it around alot. I have to check it out!